When an old farmhouse comes down, Rotarians find a way to repurpose the wood. 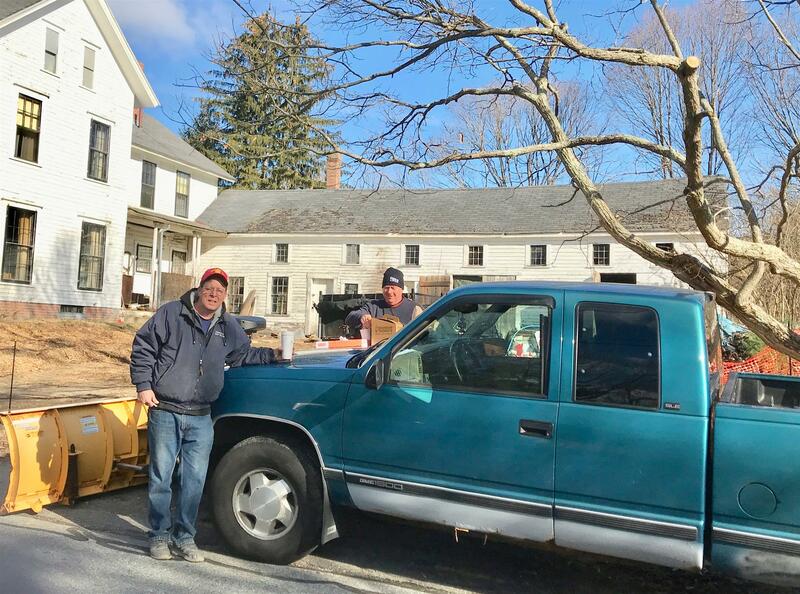 Thanks to Dave Robertson, Jon Archer, Steve Verrill and the Maynard firemen, wood is now stored for a future building project, outdoor planters at the Boys and Girls Club of Assabet Valley. Watch for a call to action to build and plant next Spring. Photo: Dave and Jon finished the job after everyone had left on Saturday, Dec. 1.